The Short- In the opening number "We're doing a Sequel" Kermit and the gang remind us "Everybody knows that the sequel's never quite as good", which is exactly the case for Muppets Most Wanted. Bret McKenzie's songs are still catchy, the comedy remains perfect for kids and adults alike and the cameos are fantastic. Yet Most Wanted lacks just a slight amount of the magic that made The Muppets 2011 return such an instant classic. The Muppets glorious return to the silver screen in 2011 was one of the most enjoyable movie watching experiences of that year. The music was excellent (and Oscar winning) and the script by Jason Segel and Nick Stoller was fantastic. I wondered if their was anyway to top it especially after Segel left before the sequel got off the ground. Instead of replacing the star and screen writer they moved on without him with director James Bobin back at the helm and Stoller and Bobin responsible for writing the script. Now that we are done talking cameos in Muppets Most Wanted, the movie actually has a few lead actors (besides The Muppets) including Ricky Gervais, Ty Burrell, and Tina Fey whom lead the cast along with funny appearances from Ray Liotta and Jermaine Clement as prison inmates who have just a few more lines than the more notable cameos. Gervais is the lead and also the bad guy as criminal/Touring agent Dominic Badguy (pronounced Bahdgee), Dominic convinces the Muppets to go on a world tour which is a front for multiple heists. While in Germany Badguy replaces Kermit with criminal mastermind and Kermit lookalike Constantine. Once Kermit is framed and sent to a Siberian gulag he meets Nadia (Fey) a prison guard who also has a bit of a Kermit obsession. Once Kermit is replaced with Constantine the Muppets travel the world as Dominic and Constantine pull off heists on conveniently placed museums and banks right next to the massive (very similar looking) performance halls in famous cities. Dominic and Constantine allow the rest of the muppets free reign on what they do during the shows which has everything from five Celine Dion covers by miss piggy and gonzo's indoor running of the bulls. The scenes with Constantine are funny and the scenes with Kermit in the gulag are fantastic with Fey and others giving goofy performances. 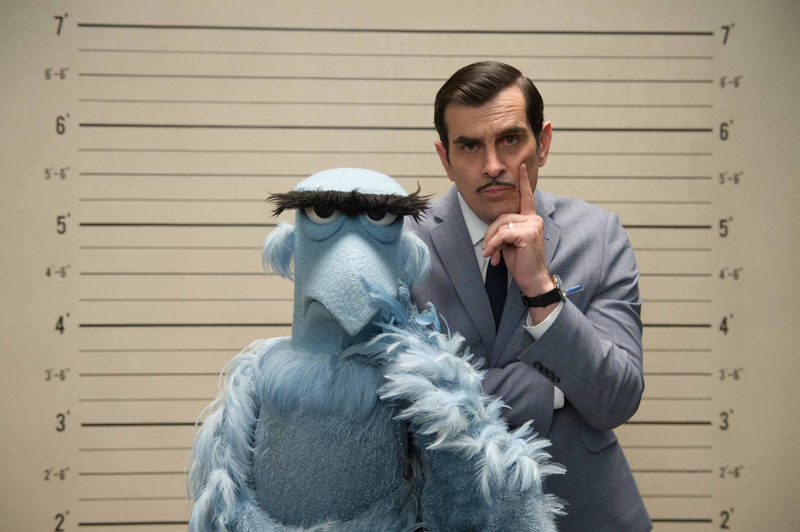 My favorite plot line in Muppets Most Wanted was between Sam The Eagle and Ty Burrell's ridiculous French Interpol agent Jean Pierre Napoleon. As they investigate the mysterious heists and playing off European stereotypes Jean Pierre and Sam have the funniest storyline of the film which is mostly thanks to Burrell's hilarious performance. The issue I had with Muppets Most Wanted is actually a pretty simple one, The Muppets was such a great, joyous film that anything they even attempted to do would not be as good by comparison. The songs are not as catchy, the plot is not as funny, and the story lacks just a slight bit of that whimsy from the first film. All that being said it's still a very fun movie and well it's the Muppets! If you like the Muppets, you won't go wrong seeing Muppets Most Wanted. I've always been a fan of the Muppets and dearly miss Jim Henson. I can't wait to see this film. I have realized some new potins from your website about pcs. Another thing I've always imagined is that computer systems have become a specific thing that each family must have for a lot of reasons. They offer convenient ways in which to organize households, pay bills, go shopping, study, tune in to music and perhaps watch tv series. An innovative strategy to complete every one of these tasks is with a laptop computer. These pcs are mobile, small, effective and lightweight. I differ with most pelpoe here; I found this blog post I couldn’t stop until I finished, even though it wasn’t just what I had been searching for, was still a nice read though. I will instantly get your blog feed to stay in touch of any updates.